Mr. Anderson Brian Ralph is an independent non-executive director, member of audit committee and remuneration committee. Mr. Anderson holds a Bachelor of Science Degree in Metaliferous Mining Engineering from the Camborne School of Mines, the University of Exeter and a Master of Science Degree in Petroleum Reservoir Engineering from the University of London. 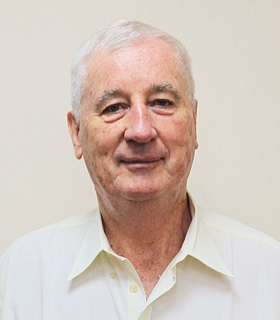 Mr. Anderson has more than 50 years of global experience (of which 32 years with Shell International) in the mining and energy resources industries. During his tenure as a Chairman of Royal Dutch/Shell Group of Companies ("Shell") in North East Asia, he was responsible for developing Shell's future business, in particular through the formation of important strategic alliances with two of the major state-owned Chinese petroleum corporations, which have since led to multi-billion dollar investment commitments in the petroleum and petrochemicals sectors in China, including important new business opportunities in coal gasification. Mr. Anderson's China experience also includes a 6-year involvement with the prestigious China Council for International Co-operation on the Environment and Development and which includes Ministerial and Vice-Ministerial level appointees from within the PRC government, and top-level international members from government and global multilateral organization and businesses. He represented the Shell's group of companies as a council member for 4 years, and has participated as a member of two taskforces involved with energy and sustainable development policy for China. Mr. Anderson is the chairman and managing director of Anderson Energy (Hong Kong) Limited, an energy consulting firm advising corporate clients globally.